What does “early” retirement really mean? Well, you may not know that it’s changing? Forever, the normal retirement age was 65 years old in the United States. However, if you were born on or after 1960, your normal retirement age has increased to 67 years old as defined by the Social Security Administration. So, maybe anywhere from 60-66 years of age can be considered “early” retirement from full benefits. I have a markedly different definition. 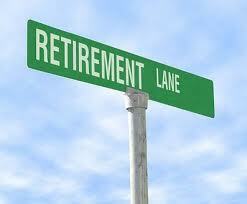 I am planning for retirement before the age of 50 (a full 17 years before the SSA’s retirement age of 67). Being able to hang it up on or before my 50th birthday has been a goal of mine for the last few years of my late 30’s and into my early 40’s. Why, you may ask? Well some of the reasons are obvious and what you would typically hear from anyone discussing early retirement (less stress, more golf and vacations), but there are other more personal reasons I have which drive me to reach financial independence as soon as possible. Let me share a few. My company has been very good to me. I’ve been able to travel the world and do some really cool things. More importantly, I’ve been able to impact and help develop lots of younger, talented people who will be leaders of the future. If I retire at 50, that would have been exactly 26 years of full-time employment since I left graduate school. I won’t even count the years of working since my first job in high school. Let’s just stick with post-graduate employment. By my count, the 60+ hour weeks over the multitude of years probably averages out to more like a 30+ year career if measured against a standard 9-5 job. One of the most unfortunate things I see are colleagues whom, over the years, have come to “define themselves” by their job. Their title is who they are. I don’t blame them so such as I feel sorry for them. They’ve allowed themselves to get trapped in the belief that their organizations cannot run without them. This is dangerous because my sense is that these high income co-workers may not as financially prepared because they think they are irreplaceable and the paychecks will keep coming in. I Want To Do Other Things In Life! I have no desire to hang up one high stress job just to take on another. In my line of work, what seems to drive people is the pursuit of power. I’ve learned that chasing power at a certain point is counterproductive. It’s reminds me of a politician who seems to be obsessed with only two things (getting into power and staying in power). I have a couple of hobbies and interests that I think I’d like to pursue. One is to write a book. Blogging about personal finance has really stoked my fire around writing and there are topics I’d like pursue in depth if I had more time. I’d also like to learn a foreign language. Not because I want to live abroad in my retirement years, but because all my years of traveling the world has taught me that understanding a language is critical to understanding a culture and it would interest me to be multi-lingual. Probably the biggest desire I have; however is to be more available for my family. This is a tough one because I know my kids need more of me now. I hate the time I’m missing, but as the primary bread-winner in the house, it’s a conscious choice. I’m spending every moment I can now because I have fairly young ones, but want to get everything provided for so that I can spend even more time in 10 years or less. We can never plan for tragedy or setbacks. Nor would we want to. There are a lot of things out there that, as a parent, worry me. First and foremost, I want to make sure that my family is taken care of should anything happen to me. My life insurance policy is in place for that. Second, I think it’s important to have money put away so that any unforeseen issues don’t put you in immediate financial stress. This is one of the best cases for multiple streams of income. Think about it, if you can just replace 50% of your employment income with side income, the likelihood of having a forced lifestyle change is greatly minimized. Lastly, I remind myself that even though I work a for a great Fortune 200 company, so did the folks at many other companies that fell on hard times almost without warning (at least to them). Some companies recovered and some didn’t. I believe being prepared is the key to nearly everything. This is why I’m very careful in putting too many eggs in my company’s basket. Therefore, should anything change at my employer between now and my desired retirement date, I will not be overly impacted in my retirement plans. With so many variables over the course of life, planning an early retirement is one area where you must study and if it’s even possible, over-prepare! At my blog, I’ve laid out my plan to draw down my funds once I step away from the corporate world. I’ve also highlighted my plans for active, portfolio and passive income. One thing I haven’t talked about as much as I should is the importance of cash to buffer living expenses and unforeseen events. I think the ridiculously low interest that one can earn as a saver is driving this. Don’t be mistaken though, if you can accumulate enough cash now, you’ll be able to construct a CD ladder with guaranteed return once rates increase again (and they will increase eventually). Right now, I’m thinking that I want 5-6 years of cash and cash equivalents to provide enough of a cushion in retirement to ride out any macro-economic events. Best to you with your early retirement plans. I “retired” at 44 and highly recommend it. You mention being available to family as one of the other things you’d like to do. I second that! Over the past 10 years, I’ve been able to spend weeks and even months helping family and friends at various times. As for you statement, “…belief that their organizations cannot run without them.” Sadly, very true. A wise boss told me early in my working life that everyone is replaceable. She was right. I agree with all of your reasons for retiring early. I have a lot of things I want to do and don’t want to wait until I am 65 to do them. Who knows if I will have my health at that point in my life. Great comments. They key is realizing this early and putting a plan in place to achieve early retirement. I had a health scare last week – this week I have a plan for early retirement. I simply don’t want to not be healthy enough to enjoy the years I will be retired.